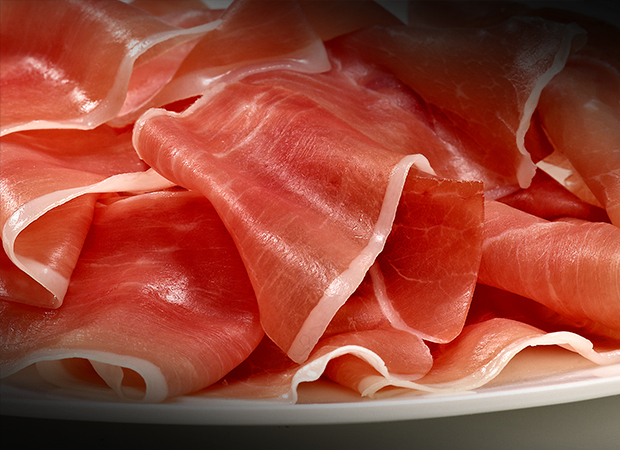 Cured ham, Serrano ham especially, forms part of the history of Spain and is one of the essential elements of its cultural context. Going back to the ancient Celts, pork was a basic product in their nutrition and was even considered a sacred object. This trading people placed it among the principal and most important merchandise. Elaborately carved sculptures of pigs guarded the borders of their domains and paths and were erected in funeral monuments that protected the rest of the distinguished dead. Later, the Romans, respectful of the cultures and traditions present in the territories they incorporated to their Empire, fell in love with the Iberian delicacy. They imbued the culinary delights of the peninsula and enriched the cultural baggage with pork symbolism and history. The ham, the most valuable, juicy, tasty part of the animal, was reserved for the wealthy classes. There were many cooks specialising in the preparation of hams and other cured meats referred to as “vicarius supra” dinners. 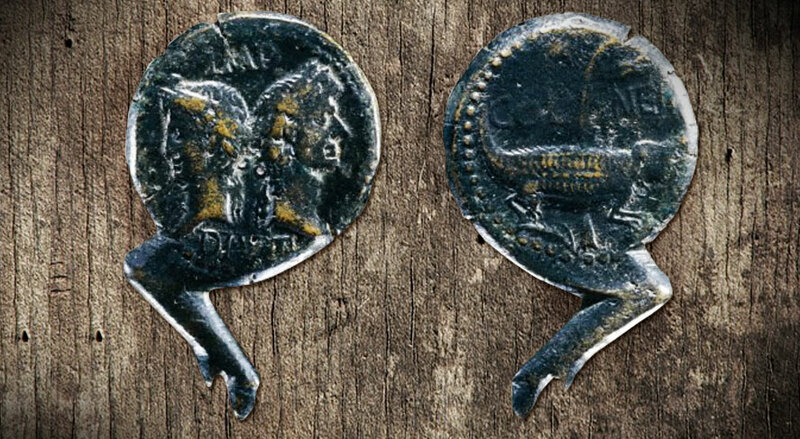 The importance of the trade in cured ham during Roman times was so great that during the reigns of Augustus and Agrippa ham shaped Roman coins were minted. 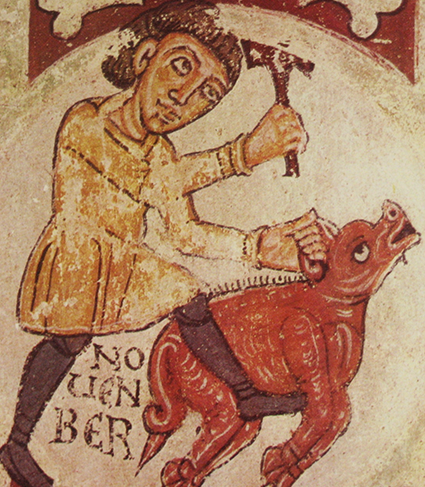 During the Middle Ages and the Modern Age, pork continued to be consumed in abundance, as meat or as cured sausage, since it was so easy to breed, because it is an omnivore animal and owing to its rapid reproduction. 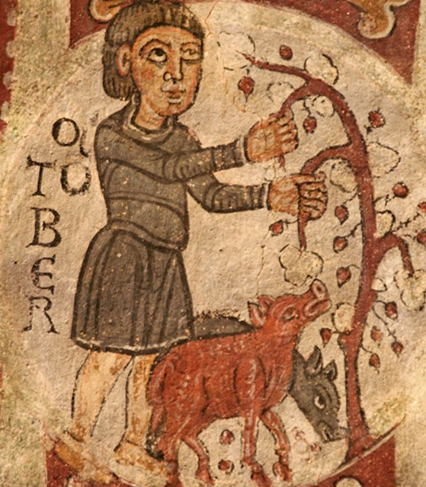 The killing of the pig has, in fact, been one of the most important festivities in rural regions across Europe. 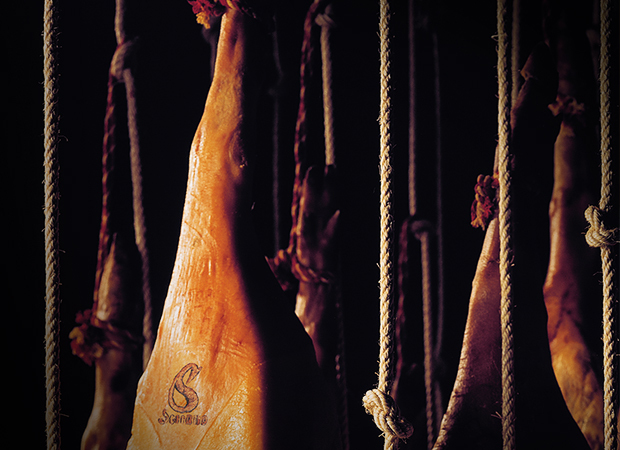 Finally, Serrano ham reached its peak in the 19th century and the first half of the 20th, thanks to development of technology for meat product elaboration, propelled by the industrialisation and liberalisation of European commerce. The importance of the trade in cured ham during Roman times was so great that during the reigns of Augustus and Agrippa ham shaped Roman coins were minted..
Serrano ham is rich in proteins, minerals and vitamins. 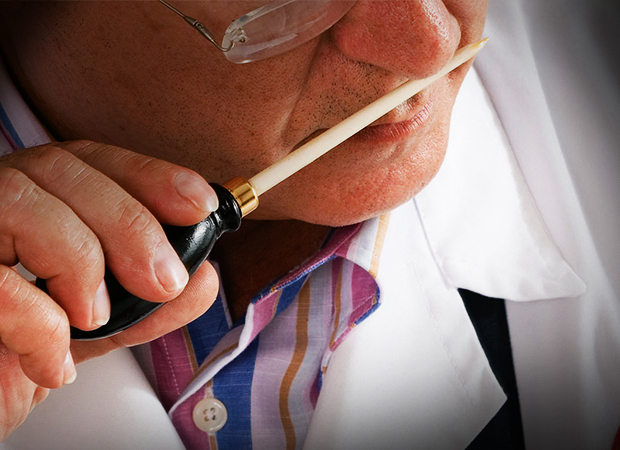 Thanks to its nutritious qualities, it has become one of the basic ingredients in the Mediterranean diet. 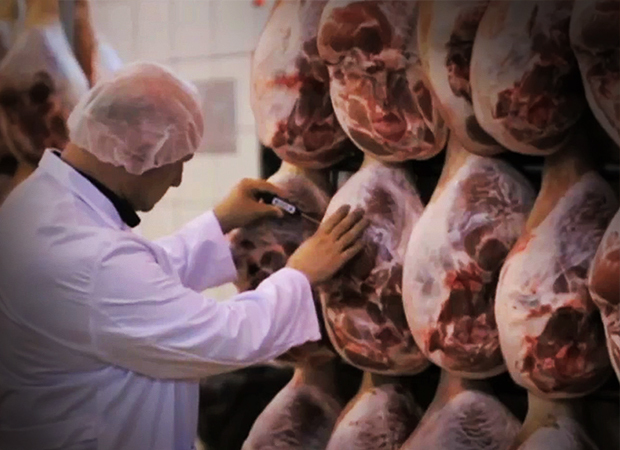 The art of salting and curing hams is an inherited gastronomic art that has survived over the centuries and is still alive today in elaboration processes. In the 1st century BC, the Greek historian Strabo, in his work Geographika (book III), dedicated to Iberia, alluded to the ham from this land. He wrote that the Kerretanois, a people of Iberian lineage that lived in the western Pyrenees, elaborated excellent hams, comparable to those from Cantabria. 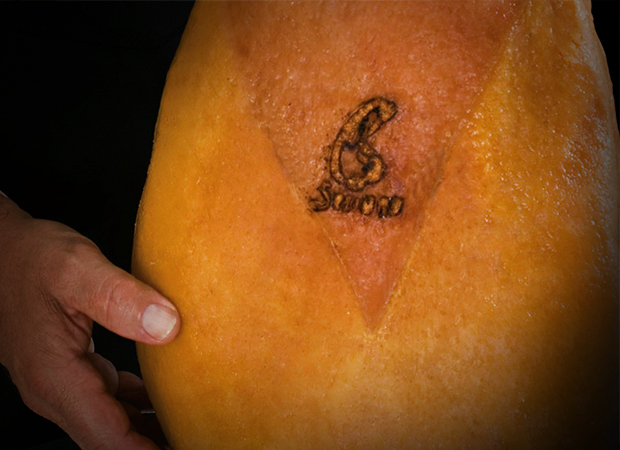 The word “Serrano” comes from the Spanish word “sierra“, meaning mountain range, and refers to the tradition of curing ham in the elevated landscapes of the mountain ranges, such as the Pyrenees or the Cantabrian Mountains, where the cold and dry climate facilitates the maturation and gives the pernil, as ham was called until the 14th century that extra special characteristic flavour. 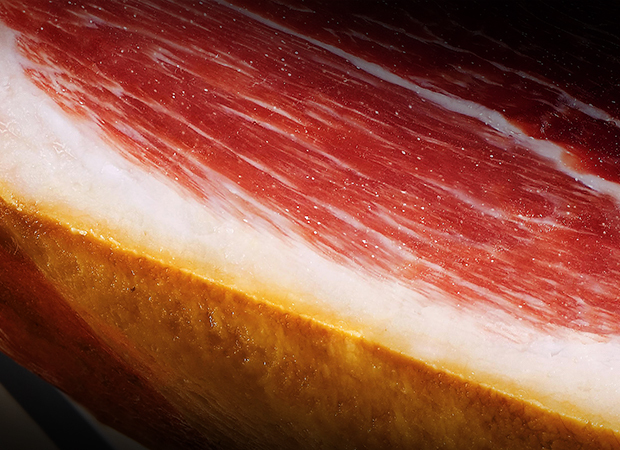 During later periods of Spanish history, they continued salting Serrano ham artfully, with respect for the tradition of elaboration: the Middle Ages elevated the pig to the status of a saintly animal in traditionally Catholic countries, and then in the Golden Age, ham became the succulent script of Quevedo and Cervantes, who were inspired by the intense aroma of the most formidable food of their country.